In this article, we’re going to show you how to start a book blog in six simple steps. If there are two things book lovers enjoy, it’s reading new books and talking about them. Learning how to start a blog is your ticket to scratching both itches in one swoop. With a book blog, you’ll be able to share your thoughts about everything you read with other like-minded people. The best part is that starting a blog is now easier than ever, so you have no excuse not to give it a try. The very first step when building any new website is to choose a name for it, and then go ahead and register that name as a domain. For a book blog, you’ll probably want to stick with names that have something to do with literature. Those are the kind of names anyone can remember easily, which is key to building an audience. One of the elements that makes them so memorable is the fact they’re short, which is also an advantage when it comes to typing in their URLs quickly. For this first step in how to start a book blog, you’ll want to come up with a list of at least five to ten name ideas. You can go with a simple literary angle, like the names listed above, or brainstorm something more original that’s based on the genre you’re interested in covering. With this tool, you can quickly find out which names are already taken and which aren’t, as well as their prices for annual registration. Keep in mind that it’s easy enough to find almost any URL you want, if you don’t want to use the .com Top-Level Domain (TLD). However, we’d advise against using little-known TLDs such as .site or .xyz. In most cases, you’ll want to stick with TLD options people recognize, such as .com, .net, or even .io. Once you narrow down your list of candidates to a single name, go ahead and register it. This process is simple, and all you need to do is enter some personal information (which you can keep private). Then pay for your domain, and it will be yours in a matter of minutes. The next step in learning how to start a book blog is to find a quality web host to be its online ‘home’. A lot of people look for the cheapest provider they can find and call it a day. However, the good news is that you can find budget-friendly hosting options for a new blog without sacrificing performance. Performance. Some web hosts provide better overall performance for your site. In practice, that means your pages will load faster, and editing your site won’t feel sluggish. Security. 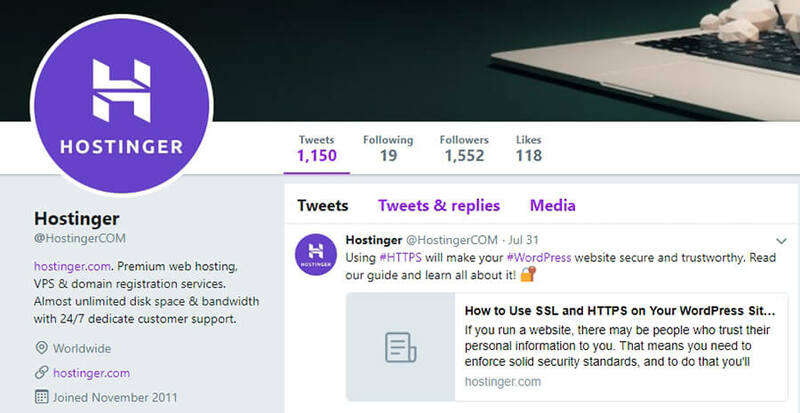 Depending on which web host you use, it may provide you with advanced security features, such as daily backups, firewall protection, and more. Additional perks. Web hosting is such a competitive field that it’s not hard to find providers offering some freebies for signing up. In many cases, that means free domain registration and even help to transfer your existing site. Customer support. Ideally, your web host will have a team of experts who can help you with any problems you have in a timely fashion. There are many types of hosting plans you can pick from. However, for a new blog, we recommend that you start by using shared hosting, which will be enough until your site starts getting some decent traffic. Then you can consider upgrading to cloud hosting or a virtual private server (VPS), which offer better performance and customizability. 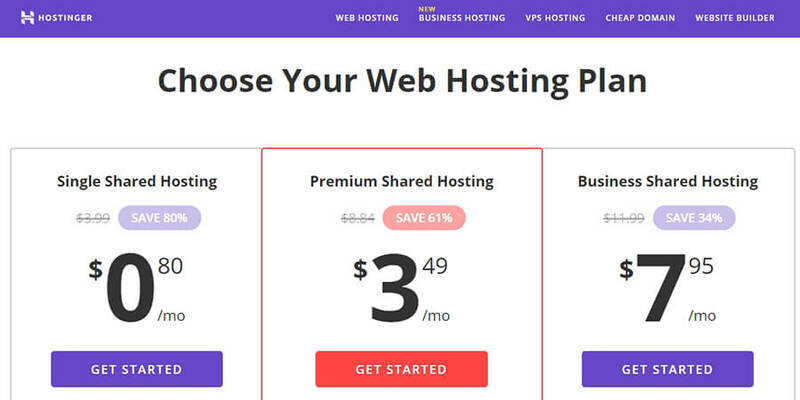 Once you’ve chosen a web host, go ahead and sign up for the plan you want. If you choose an annual cycle, you will also get a free domain registration (.com TLD included). However, if you purchased the domain from a different site, you may need to point it towards your new provider. So far, we’ve been focusing on the basics of how to start a book blog. Now it’s time we started talking about blogging more specifically. One of the most critical choices you can make for your blog is which platform you’ll use to power it. In most cases, we recommend that you use a Content Management System (CMS). That’s a fancy name for a platform that provides you with all the functionality you need to write, edit, publish, and manage content on a small or large scale. WordPress provides you with a powerful editor that makes it easy to write book reviews, articles, interviews, and anything else you want. It also enables you to add media to your posts so they look even better. Plus, you get access to thousands of themes and plugins you can use to customize your website in just about any way you want (more on this later). All of this makes it possible to create a gorgeous book blog without needing any technical skills and, depending on your hosting provider, for the low price. Joomla! also offers built-in Search Engine Optimization (SEO), which can make your book blog easier to find. With WordPress, you’ll need to use plugins in order to add this functionality. Also, Joomla! offers its own collection of extensions and themes, albeit not as large as the WordPress catalogs. This platform is not as easy to pick up as WordPress and Joomla!, and is aimed at more advanced users. However, that’s not necessarily a bad thing if you’re technically inclined. It offers a more modular approach to website building, which often translates to better performance for larger websites. Learning how to start a book blog using Drupal might take you longer than with other platforms. However, it provides better security out of the box, and it can be just as flexible as WordPress or Joomla!. If you’re looking for our recommendation, we’d suggest that you stick with WordPress if you don’t have a strong preference already. This platform offers a fantastic middle ground between ease of use and wealth of features, which makes it a perfect choice for starting your first blog. A lot of people think that WordPress is just for small sites, but the truth is that plenty of serious businesses also use this CMS. For the rest of this tutorial, we’ll stick to WordPress-related advice. So go right ahead and install the platform on your web host of choice. At this point, we’ve covered the more technical steps of learning how to start a book blog. That means it’s time for you to start focusing on your blog’s content and deciding on the shape you want it to take. That’s just for starters, of course. Just as with books, your creativity is the only ceiling when it comes to blogging. However, at this stage, what you’ll want to do is come up with a basic content plan that will enable you to get the ball rolling in the direction you prefer. For example, you might plan to publish one book review post per week, and also create a top-ten article of best hits once or twice a month. That’s a basic but solid plan, which will enable you to plan your schedule ahead of time and start establishing some consistency. The reason this is important is that a lot of people take all the first steps of learning how to start a book blog, and then they walk away after writing a couple of posts. When working on a new blog, you’ll need to publish new content regularly – often for a few months – before you begin to gain traction. At some point, if you’re writing quality content about books people care about, traffic should find you, and you will start building an audience. With that in mind, it’s best to take your time now and come up with a basic outline for your blog’s schedule. Then, write down at least four or five ideas for blog posts you want to tackle right away. Once your list is ready, you can get to work on your first post or wrap up the remaining two steps in this guide before you start working on content. Before you get to writing, it’s time we talked about WordPress plugins and themes. There are a lot of upsides to using WordPress. However, one of the top benefits is the high degree of customizability you can get from installing themes and plugins on your site. First off, you’ll want to pick a theme that enables your book blog to shine. WordPress themes modify the way your site looks, enabling you to tweak its appearance without any design skills. Right now, your website should be using one of the default themes, which will be pretty basic. We recommend that you take your time and look through some of the most popular options, until you find one that fits your vision. Be aware that it’s best to stay away from themes with few ratings and no recent updates. If you keep that in mind, the themes you pick usually won’t give you any problems. Once you’ve found your book blog’s theme, go ahead and install it. Then, you can turn your attention to WordPress plugins. These are very similar tools, but they focus on adding new features and options to your site, rather than modifying its look and layout. This is a crucial step in learning how to start a book blog. What this plugin does is enable you to assign star ratings to items, such as books. You can even break down your ratings into categories based on the plot, how well written the book is, how fun it was to read, and more. Ultimately, you’ll need to think about the kind of features you want your blog to include. Then you can look for plugins that fit the bill, using the same criteria we mentioned for themes (good reviews and recent updates). You’ll find lots of free choices in the WordPress Plugin Directory. Finally, one critical aspect of learning how to start a book blog that often gets overlooked is setting up a social media presence. If you run a blog on your own, then you’ll hopefully end up developing a relationship with a lot of your readers. This means it’s essential that there are ways they can reach you, aside from your blog’s comment section. The best way to increase engagement for a book blog is to also be active on social media. To do this, you can either use your personal account or set up profiles for your website, either of which you can use to link back to your content and interact with other readers. Instagram can also work if you like taking pictures of books, but your mileage may vary on that platform. We recommend that you start off by focusing on a single social media platform, most likely Twitter or Facebook. That way, you’ll be able to stay on top of publications and comments. Also, don’t get discouraged if you don’t receive much attention at first since that’s normal for a new blog. Just keep sharing content and don’t let your accounts appear as though they’re abandoned, and you’ll be able to slowly but surely build up an audience. Learning how to start a book blog isn’t difficult, particularly if you already know what you want to write about. Once your blog is set up, you can use it for anything you want, from reviewing new books to interviewing authors, sharing challenges, and more. You’ll also find that the book-blogging community is very tight-knit, so chances are high that you’ll meet some cool people along the way. Last, but not least, you’ll learn how to make a website and manage it. Do you have any questions about how to start a book blog? Let’s talk about them in the comments section below!